On Friday, June 2, 2017 Public School No. 34 celebrated the naming of their school. For over one hundred years Public School No. 34 did not bear a name. In July 2016 the students and parents council President, with the support of community leaders and elected officials formed a naming committee and began the process to finally have a name for their school. The naming committee chose to name the school after President Barack Obama with the idea that having a school named after a prominent public figure will boost the community’s morale, and student academic achievements. You can read more about their journey here. 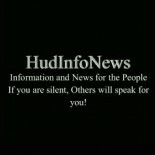 This entry was posted on July 8, 2017 by HudInfoNews in advocacy, Barack, black, Community, discussion, education, Information, jersey city, president, pride, Proactive Concerns, school, solutions, students, rights, vote, Uncategorized and tagged advocacy, children, education, people, rights, school, students.